One may ask, What does twenty-first century art have to say about all this? We’ve heard from activists, a few courageous whistle-blowers; we’ve seen Hollywood thrillers with at least one Cheney-like character snarling with glee as he slaughters the hopes of yet another welfare mom. But where is the nuanced rendering of this story about the death of democracy? Because we were unable to give awards in 2011 and 2012, due to lack of qualifying entries, we decided to give two awards in 2013. 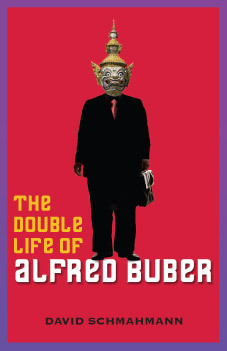 The first award goes to The Double Life of Alfred Buber by David Schmahmann, which was reviewed by top DR reviewer Charles Holdefer. The second award goes to Cocoa Almond Darling by Jeffra Hays, which was reviewed by Peter Bollington, also a top DR reviewer, and VN Alexander, DR editor. Both authors receive a $1000 prize. Congratulations to David and Jeffra for their fine work. As cruel as the world itself. Bernard Hawkes is a cynical, disillusioned journalist who finds himself in a spot of trouble when someone starts enacting the theoretical terrorist plots described in his satirical newspaper column. 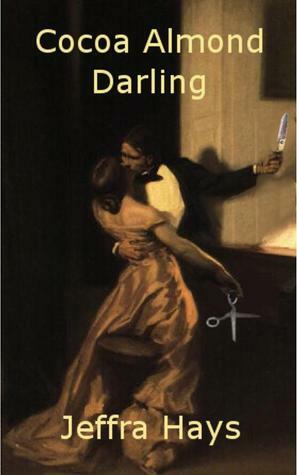 So begins this sardonic tale of conspiracies within conspiracies set in modern-day London.